Man who opened fire at video game tournament in Jacksonville identified as 24-year-old David Katz. 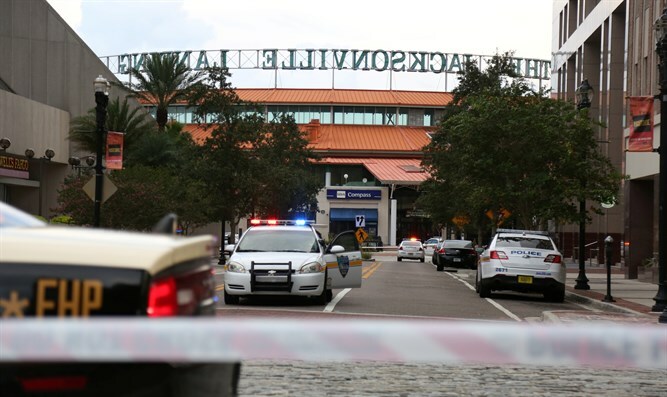 The man who opened fire at a video game tournament in Jacksonville, Florida on Sunday has been identified as 24-year-old David Katz, of Baltimore, Maryland, CNN reported. Two people were killed in the shooting at the Jacksonville Landing shopping and dining complex. Eleven others were injured. Katz died at the scene from a self-inflicted gunshot wound, Sheriff Mike Williams said at a news conference on Sunday afternoon. There are no other suspects. The motive for the shooting, which took place during a qualifying event for the Madden 19 Tournament at the GLHF Game Bar, remains unclear. Some reports said the shooter participated in the tournament and opened fire at participants after he lost. The Baltimore Police Department on Sunday evening raided Katz's home, which is located in the city's Inner Harbor area. Investigators are interviewing the suspect's family.